Look back at some of Carol Danvers' greatest battles. 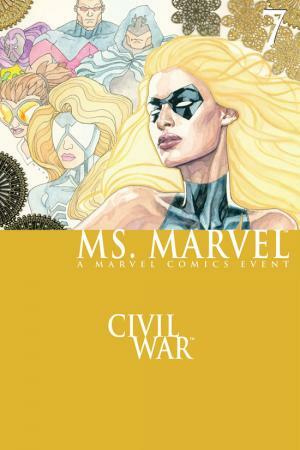 Carol Danvers, A.K.A. Captain Marvel, has fought many heroes before, for a myriad of different reasons that range from misunderstandings to mind control to out-and-out rivalry. Here’s a look at a few of those battles. A classic hero “misunderstanding” led Carol Danvers and the Vision to fight. While at Stark Industries, the then-Ms. Marvel sensed something wrong with the driver of a truck filled with radioactive material. The driver, a robot, secretly served M.O.D.O.K. When Vision questions her actions, they fight, and then team-up to stop the malevolent machine man. Carol's animosity toward Rogue runs pretty deep. Before the Southern belle joined the X-Men, she worked on the wrong side of the law with her foster mom and Carol's nemesis, Mystique. The youngster made a pre-emptive strike against Ms. Marvel—and ended up permanently absorbing Carol's personality and memories. The first Civil War pit hero against hero over the issue of superhuman registration; Carol sided with Iron Man and the pro-registration side, which went up against Captain America's forces. 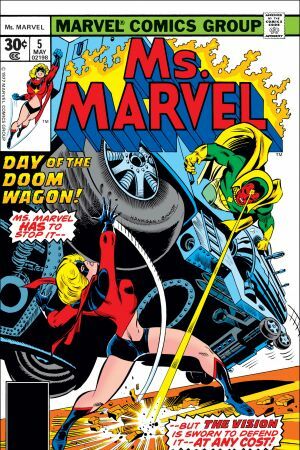 Carol ended up not only joining Iron Man's Mighty Avengers team, but also worked for S.H.I.E.L.D. hunting down unregistered heroes, which put her in conflict with the Prowler, Shroud and Arachne. 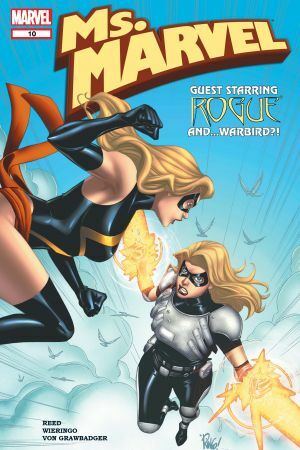 Shortly after the first Civil War, Ms. Marvel faced a Carol from another reality who never recovered from the trauma Rogue inflicted on her. Named Warbird, she traveled to alternate realities to kill not only that Earth's Rogue, but also Carol if she had forgiven her former foe—which our Carol had. When the Puppet Master decides to use his mind-control powers to force heroes to fight each other top the death, arena-style, Ms. Marvel, Sleepwalker and Machine Man head to Chile to stop him. 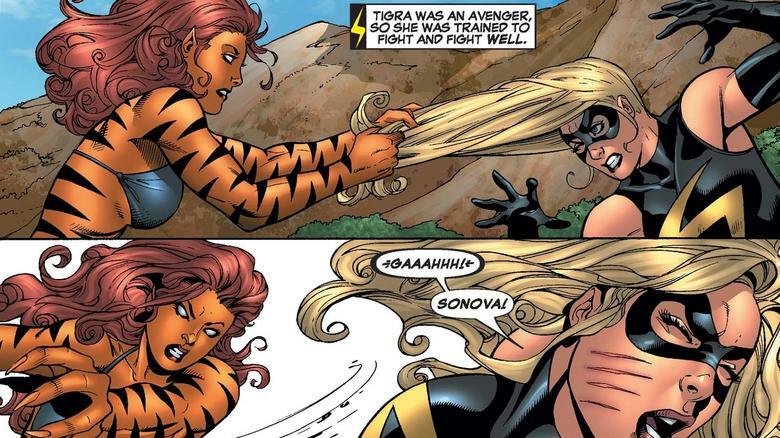 This, of course, leads to confrontations with several “controlled” heroes, as Ms. Marvel has to battle Stature, Silverclaw, and Tigra before the heroes triumph. 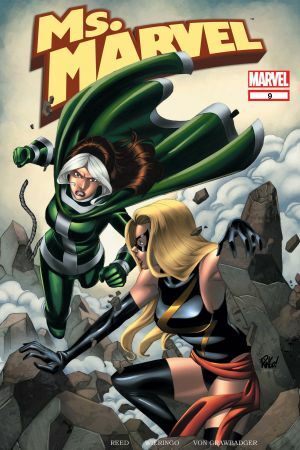 Second, during the Dark Reign storyline that followed Secret Invasion, Norman Osborn put together his own Dark Avengers, which included Moonstone, who adopted the role and costume of Ms. Marvel. 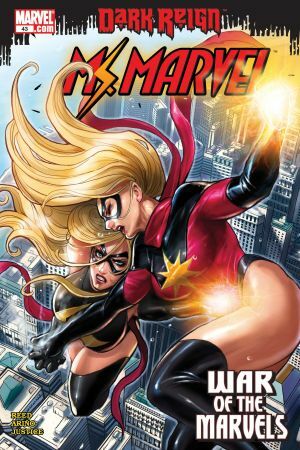 She even took over her solo title for a time when it appeared Carol had died, but the original got better, much to Moonstone’s regret, when Ms. Marvel showed to take back her name. 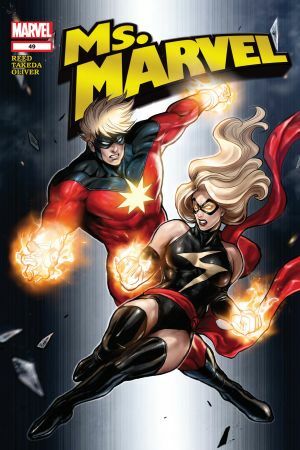 Before taking over the name herself, Carol took on the original Captain Marvel; or, at least, a clone of him. When Mystique discovered the Skrulls left behind an unused replicant of the Kree hero, she plotted to pit him against her old nemesis, Carol Danvers. After they fight, Captain Marvel explodes and Carol absorbs his energy.